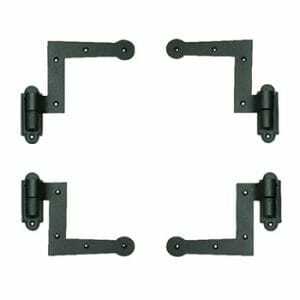 Pair of hinges without pintles. 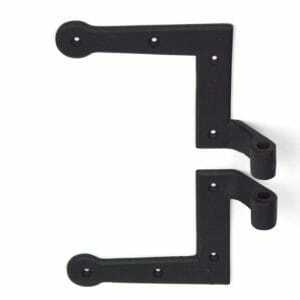 2.25" offset. 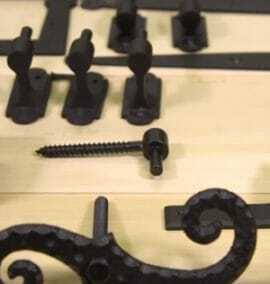 Cast iron, powder coated. 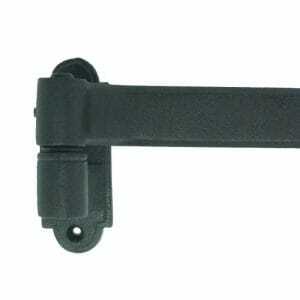 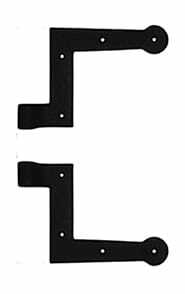 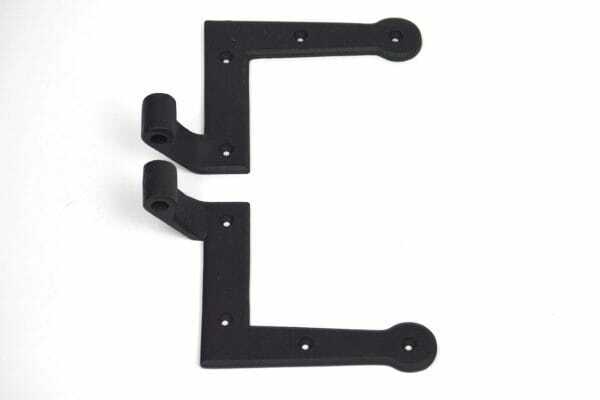 Use these hinges when you have pintles or wish to use the lag or jamb pintle and do not need the regular pintle that comes with the standard New York hinge sets.